Whoops. I did nothing over writing. Literally. We are at the hostel 3 times throughout the day when I could possibly write: First thing in the morning (which is very much occupied by as many minutes of sleep we can squeeze in, coffee, and dressing) 2. after volunteering (which has been the best time to type about the morning because its still so fresh) and 3. At night after we get back from whatever walk/exploring we decided to do all afternoon. I had all those same times fre yesterday I guess, but I was being lazy and tired. Two nights ago while we were hanging out in our courtyard before bed, the boys started chatting with two girls who had just checked in. Francey and Rianna (19 & 20 ) are childhood friends from Montana taking a gap year before college and doing some traveling through south america. Peru, and specifically this hostel, were their first stop! Long story short, we invited them to come with us in the morning (to yesterday's volunteer day) and they said yes! So this morning we packed two more into our two cars and made our way to the school. It was so exciting to walk in the gate and see learn that our little kids and english class were back! (thier scedule is m/w/f ). 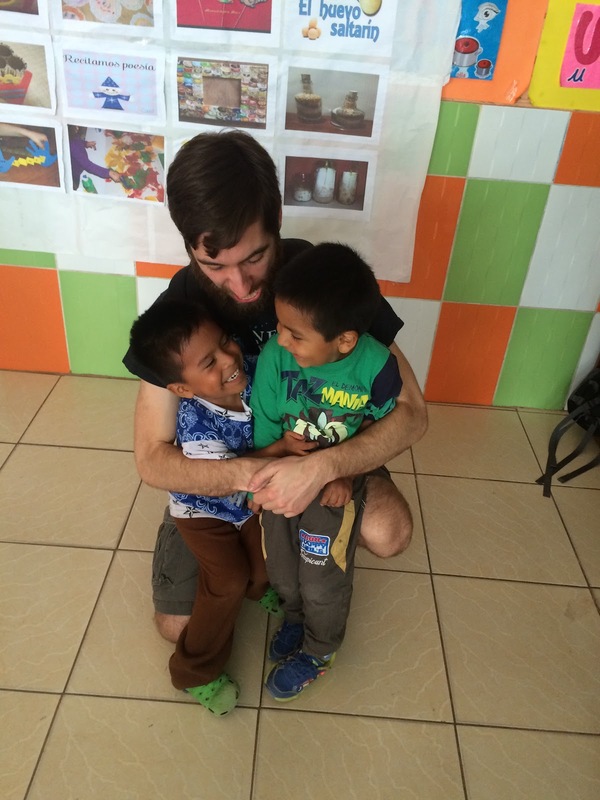 The kids were defintely excited to see us back and my little man, Jesus, clung to my hand(and feet) all day :) The kids love using all of us as jungle gyms and get a kick out of trying to make us move with as many as they can fit clining onto our arms and legs. We don't have to gym after little kid day. Its a workout. We think word must have spread about our group of gringos, because there were so may more kids and we had to bring in two more tables and bunch of chairs. And all the older kids from our paint night showed up (I think mostly to flirt with Jay haha) but they were also being helpful with the little kids and really in to learning englsih with us, so it was great. All of us got in some little kid time to start, and then Lindsey, Zach, Rianna and Bill joined the English class to help Nelson teach! It was great to see Francey in our room get more and more interactive with the kids. It so overwhelming at first not being able to really communicate and feeling a little awkward, but they make you loosen up so fast and it was fun to watch their effect on her since we had all just recently been there too. 1. Morgan is the self-proclaimed "not morning person". Lindsey enjoys mornings. 4. Jay didn't buy anything at the clothes store. He tried to buy a Peru jersey---but his muscles were too big for the size they had. 5. LMHC- stands for "Lisseth's Mamas Home-cooked" [meals]. 6. This isn't a mistake but an apology for numerous typos that I keep finding. But editing on my ipad (or any computer) has never been my favorite ( I like to watste paper and mark it all up with pens). This posts is all over the place today, sorry, but I guess thats what happned when you're trying to back traack. 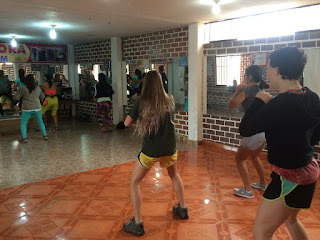 I forgot totell you that zumba is also here in peru and that lindsey, lisseth, and francey got thier hearts pumping and sweat on before the kids showed up. Mirrored walls, neon spandex, and loud jams are universal. "After meeting Abroaden, which is made up of seven incredible souls while in Peru, my vacation changed. I've been wanting a taste of reality but I had know idea what that meant. They brought me to a place that I never would've guessed was a school. I felt out of place but soon the games began and it swept me away. Life was incredibly simple all of a sudden and I felt connections to not only what this mission is about but also to the people who make it possible. I don't speak spanish and for a while I thought "this is impossible" but the connection with the kids was there , I felt it through the way everyone smiled and laughed with eachother. 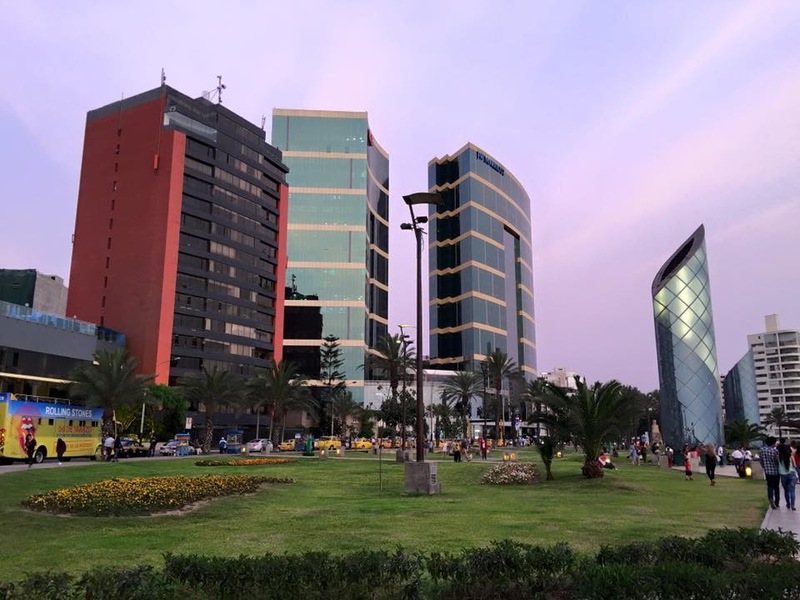 It was an inspiring experience and I think what Abroarden is doing is worth so much more than just a simple vacation in Peru." 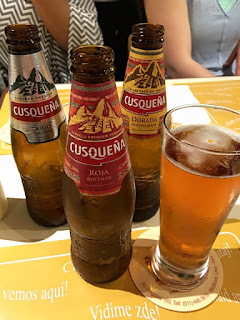 The afternoon, as I kind of hinted, was a lazy day filled with failed attempts at organizing our Machu Picchu plans and paperworks. Oh well. Organization is overrated when traveling anyway. 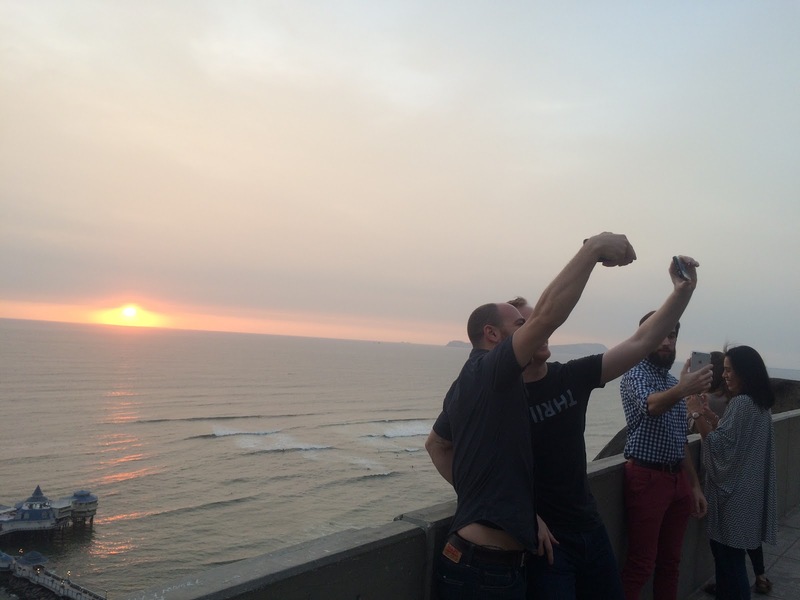 We did manage to get our train tickets printed in advance and another amazing sunset session. So there's something. a Fancy Friday. ( fancy, thanks to our personal stylist Morgan who will be back and available in the Us soon for all your styling needs.) We made our way to a restuarant named "Haiti"--a place where Mr. Berman has had many a meal. 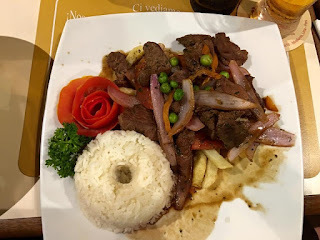 Their menu was huge and with all the options, I was super excited to see Lomo Saltado since I had just been told by my friend back home I needed to try. Thank you Brian! don't worry, theres a picture below. Morgan and I got that and a cooked vegetable "salad to share, and it was perfect. Peruvians know how to make some great sauces here. We got some cuzquenas (one of the local beers) in three different varieties to have little taste test...golden, wheat and red and like my prefefdnce for all other beers ever, it toally depends on mood/scene/number of previous beers :) Take away: All cuzquenas are good. Post dinner, Jay was really excited to take us out to our first Peruvian night club scene. Boys just gotta dance. I'm going to leave a lot of the mystery about the club a mystery, because it adds to its appeal and because I know no where enough about the music I was hearing or the moves I was seeing to do it justice. I can say everyone got a workout in (or atleast a good sweat) and Lisseth and Jay defintiely know how to dance. We made it back home around 1:30 after a quick stop at the 24 hour grocery store for some big bottles of water.